A practical 2-day course, focusing on the fundamentals of BDD (Behavior Driven Development) and the usage of Cucumber to enhance it. 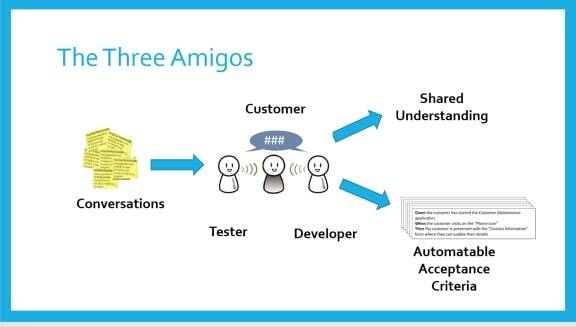 Throughout realistic, real life use cases you will become familiar with BDD and concepts like Example Mapping, Three amigos and Ubiquitous Language. Using Gherkin to form a bridge between Business and IT, you will gain useful insights on how to use and build a BDD framework that works for your environment. Using Cucumber JVM, you will get acquainted with the concept of “Living Documentation” throughout hands-on experience. Who might want to attend this course? After this course you’ll know the basics of BDD and will be able to effectively preach and apply it within your own environment. You’ll also be able to write solid and wel structured Gherkin requirements knowing where and how to automate scenarios, leveraging them as Living Documentation. Price: €900 excl. VAT for 2 training days, incl. lunch and course material. BYOD.